Week 10: Welcome to France! Bonjour Madame! Bonjour Monsieur! Welp, we made it to France. The land of cheese (really stinky cheese), warm baguettes, croissants, crepes, foie gras, wine…I could go on forever! …..hmm, I think Bordeaux is known for it’s wine? Just a guess. Heading into Bordeaux, we really didn’t know what to expect except for it was France’s most prestigious wine country (that was made obvious by all the people whom we told we were going to Bordeaux). But we thought to ourselves, there has to be more to it than just wine alone! And there was. There definitely was. We took to the free app called “city walks” and it basically provides all the information and maps you may need for any major city. We found a guide on there that lead us through all the important monuments and streets of Bordeaux and all we had to do was follow the map, plug the headphones into the phone and listen to the audio information of that specific monument! It was so fun to do it that way because we were able to plan out the best route for ourselves, pin-point what seemed interesting to us, and be completely on our own schedule meaning we could stop and stare for as long, or as little as we wanted. Oh,..and the only person we needed to tip was ourselves and trust me, we did. With a French pastry (a delicious cannele to be specific!) and a café au lait at the end of our full day of exploring. Another fun aspect of our self-guided tour was the fact that we came across some city bikes that were only €1.50 for 24 hours! We hitched a ride on those and toured the city the way the locals do. 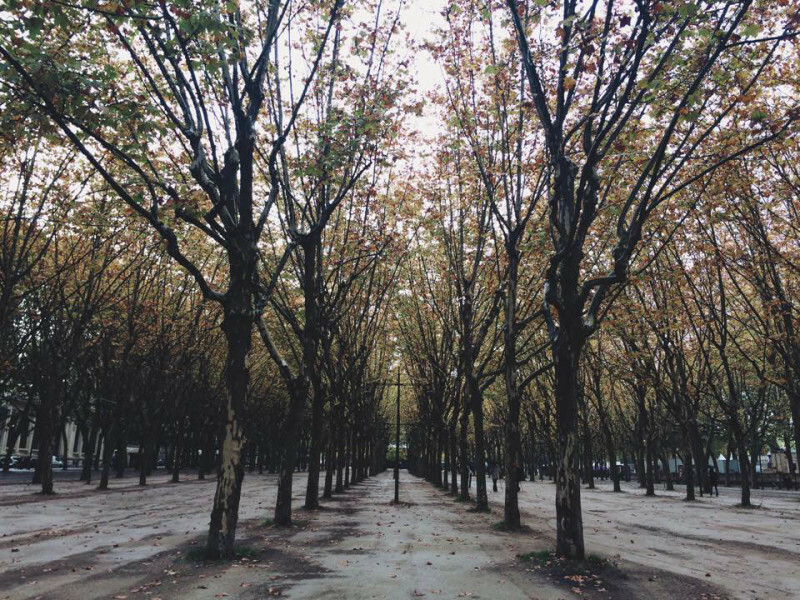 The bikes gave us the freedom to go all around the big city and stumble upon beautiful sites…such as this amazing tree alleyway at the north-end of Bordeaux. We stood at the base of it, taking in the sites of hundreds of trees as it rained down on us. And it didn’t just rain with water…the leaves fell on us like big, slow moving, yellow raindrops. It was beautiful. When it comes to food, I am going to come right out and say it: France is freaking expensive. I mean, it’s expensive compared to what we have been normally paying in Spain. But nonetheless, it is pricey. Is it delicious? Yes. Can we afford to spend the day getting a croissant for breakfast, a crepe for lunch and then duck for dinner? Heck no. 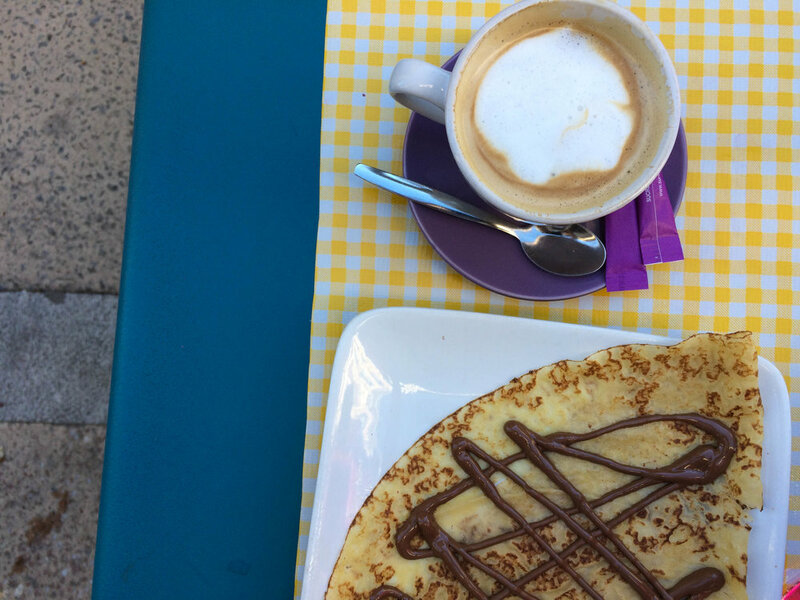 So, what we found in our first week in France is that if we want to enjoy and appreciate French food without trying to be too cheap, we just have to be wise in our decision making of where to go and when to go for what meal. Another thing we noticed is that the French seem to love their prix fixe menus! Almost every restaurant offers one and we realized that the one night we went out to dinner. After the friendly waiter…wait. Lets stop there for a second. I just need to clarify that so far, everyone has been so nice! 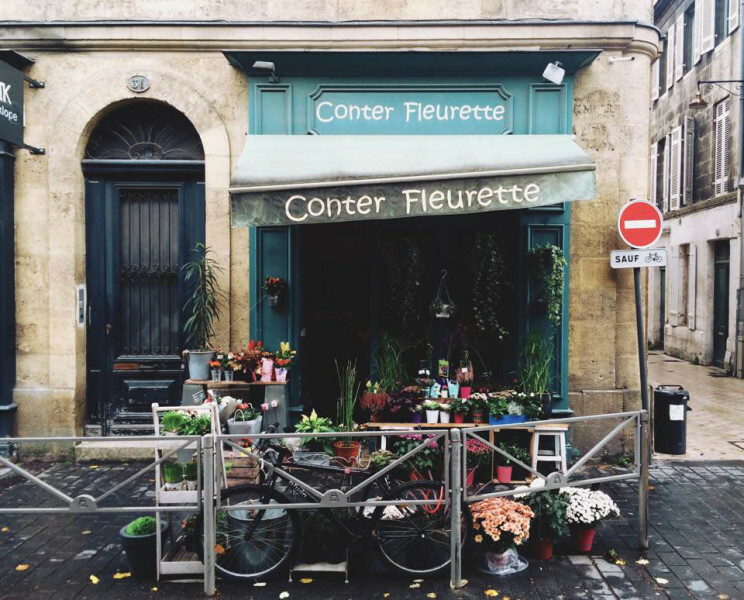 The French get such a bad rap for being rude and hostile towards Americans but we have experienced a lot of smiles and friendly gestures thus far! Ok, back to the food. After the friendly waiter explained what the prix fixe menu consisted off at L’Etiquette, we ordered it, sipped our Bordeaux wine because, well…it’s Bordeaux, and rested easy knowing that we didn’t have to order anything. The food came out in courses and it was all so delicious! Sean ventured to say that he had the best duck of his life and I was pretty darn satisfied with the salmon that I had ordered. The meal was fantastic and even though it all looked like “chic food”…we left very full and very happy. Now, I know you’re all dying. Where is the wine?! Don’t fret! We found the best way to experience this wine country was to visit an area where there are thousands and thousands of wineries and miles and miles of vineyards. We took a short drive to the old medieval village of Saint Emilion and it was picture perfect. The fall colors blended with the cobblestone roads and chataeu's in the distance had me all giddy inside. I kept turning to Sean and saying…”Can you believe it?! Isn’t it SO beautiful?! Wow, I can’t even get over it!”…and he was like…”yeah yeah, it’s beautiful…and stuff.” Just kidding, he loved it. I think. We went to lunch at this beautiful little place that sat a little off the beaten path where we enjoyed a really simple and nice lunch. I am OBSESSED with croque monsieur so as soon as I saw it on the menu, there was no competition. My obsession began with that movie “It’s Complicated” where Meryl Streep makes this delectable dish that I just HAD to recreate and ever since then, it has held its rank as one of my top 5 favorite dishes. Anyways…Sean got the duck confit that melted like butter. Our whole lunch was so lovely and got us prepared to do some much anticipated wine tasting. 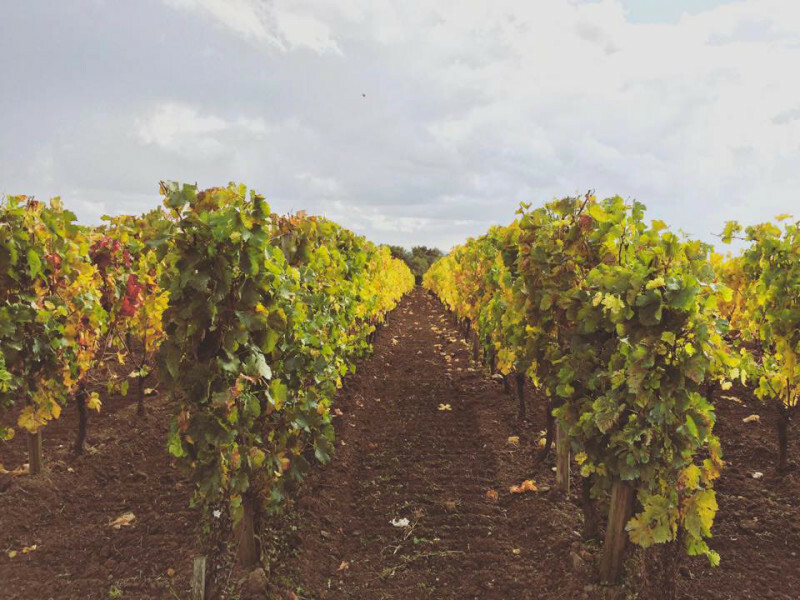 We were informed that were about 10,000 wineries in Bordeaux, so when it came to choosing one, we felt a lot of pressure. But then we saw the words “free tasting” and “walking distance” we were like…psh, that was easy! 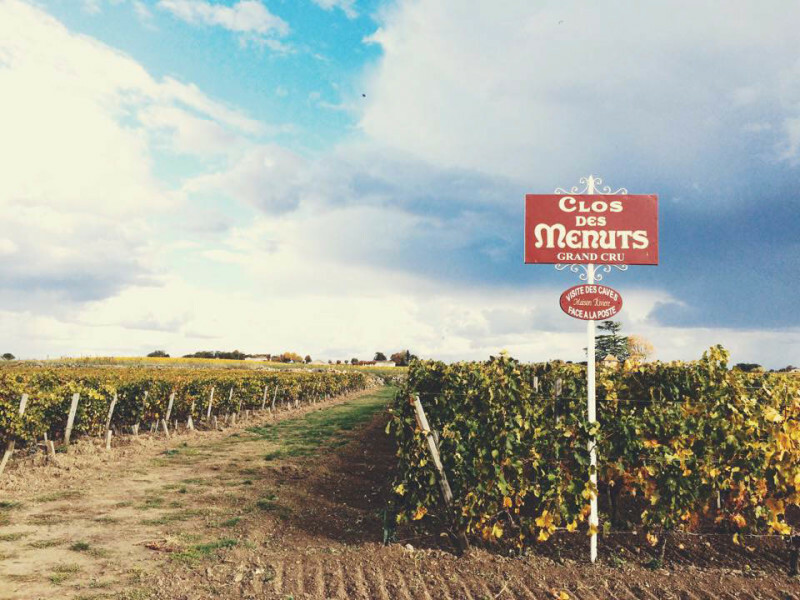 We toured around Chateau Clos Des Menuts, tasted their merlot and cab, visited the wine celler and chatted with the woman who worked there. We enjoyed it so much that we had to buy a bottle of the merlot! Why? Because…it’s Bordeaux (that was my tagline for our days spent there). Ok Bordeaux, you definitely impressed us with your wine but also with your “France-like charm.” We had this image of what France was going to be like and you were EXACTLY what we imagined…in a good, non-predictable way. No, we did not choose to go to Limoges because of the porcelain (did you know that’s what Limoges is known for?). And yes, we did go there because of the “big Halloween parade that attracts 50,000 people every year.” I will kill the suspense right now and let you know that there were definitely not 50,000 people there and ½ the people we asked about the “parade” had no idea what the heck we were talking about…but I’ll get to that soon. There has been no shortage of beautiful fall colors on our trip thus far and the further we go north, the deeper and brighter the colors become. It makes truly makes me smile from the inside, out. But, there has been a shortage of Halloween spooks so we spent one day doing “Halloween things.” Sure, the people at the market probably would have not let us buy a perfectly good pumpkin if they knew all we were going to do was carve it into a skeleton…Jack Skellington to be exact…but I think us buying a load of other fresh ingredients masked the single whole pumpkin we purchased. The people at the central market were so friendly and we could tell that they truly loved their job! With our lack of French and their lack of English, we made due by funny hand gestures and sounds to signify the fruits, veggies and meats we were buying in preparation of our Halloween Pumpkin Chili. After Skyping with our best friends and placing the apple crisp in the oven, we sat down and turned on one of our all-time favorite movies: HOCUS POCUS. It just is not Halloween without the Sanderson Sisters! We took to carving our pumpkin and sipped on French apple cider before devouring bowls of the warm chili. So going back to the “big Halloween parade that attracts 50,000 people every year” that I touched on earlier. Despite no one really knowing what I was talking about, it WAS a thing. Maybe not a “50,000 people” kind of thing…but more or less like a “1,000 people” kind of thing. In the historic district of Limoges, they set up a “Zombie Village” where you could go play games, have your face painted, and get ready for their annual Zombie March through the whole city of Limoges. After an amazing lunch at Mamie Boundrie of crepes, rose and more crepes, we headed over to the village to get all zombie’d out. And that we did! I even spooked myself! Everyone was acting very…dead. It was AWESOME and so much fun! We walked for an hour all around the city and scared people left and right. Kids were out trick-or-treating and even the police officers got in on the zombie action. The walk ended at a little café/bar where we listened to French rap (I never in my life thought I would say that) where we grabbed a beer and then headed back to our apartment to eat candy…like any normal adult would. Now, this week ended not so happy. We returned our car, “Peggy Le Peu the Peugot” earlier this week because we heard that in France, parking was a nightmare. Well, right now, at this moment, we are sitting on our 3rd train of the day, only to have to get on one more bus after this. (“Take public transportation,” they said. “It will be fun,” they said.) We are heading to our 2ndWorkaway in Bagnoles de L’Orne…oh, you have never heard of it? Yes, that is apart of our problem. It is a small town in the middle of andrian forest in Lower Normandy. We are scheduled to stay with a lovely couple named Rosemary and Hugh at their Bed & Breakfast. We will be working there for about 10 days, helping them with whatever it is they need help with at “Les Poppies B&B.” Problem is, we can’t get there! We scheduled a ride share with BlaBla Car that would have worked out perfectly…if they hadn’t cancelled on us 2 hours before we were set to leave. We spent the next 2 hours straight trying to find an alternate way to get to this little town but nothing was working out. By the time 3pm neared and we knew we had a 6 hour journey ahead of us…someway, somehow…we bit the bullet and paid €140 for the train. You’d think that €140 would get ya to this little town, right? Wrong. Like I said, we are still on the train and getting off in a bigger town close to Bagnoles de L’Orne, but still don’t know how we are actually getting to the town that late into the night. I know by the time this posted is on The Table Trail, this will all be past us but what a doozy it has been. In moments like this, we just need to remind ourselves that this is what God had planned for us today and in lots of ways, that gives us peace. And also, in lots of ways…we have learned something today. Not 100% sure what it is yet, but I know that we have. I’m sure it will be revealed to us soon enough! (update: we got off the train, missed the bus so we took a €120 taxi ride to Bagnoles de L'Orne...at midnight....yeah....BUT ended up in the beautiful town safe and happy!). Despite our Sunday being full of frustration, train transfers, expensive train tickets, and lessons to be learned…we had a great week. Like I said earlier, we are in France for pete’s sake! What could be wrong with that? Looking forward to a week in a beautiful town nestled in the forest.